At 40, Carlos uses crutches and finds that they they aren’t really comfortable for daily life. 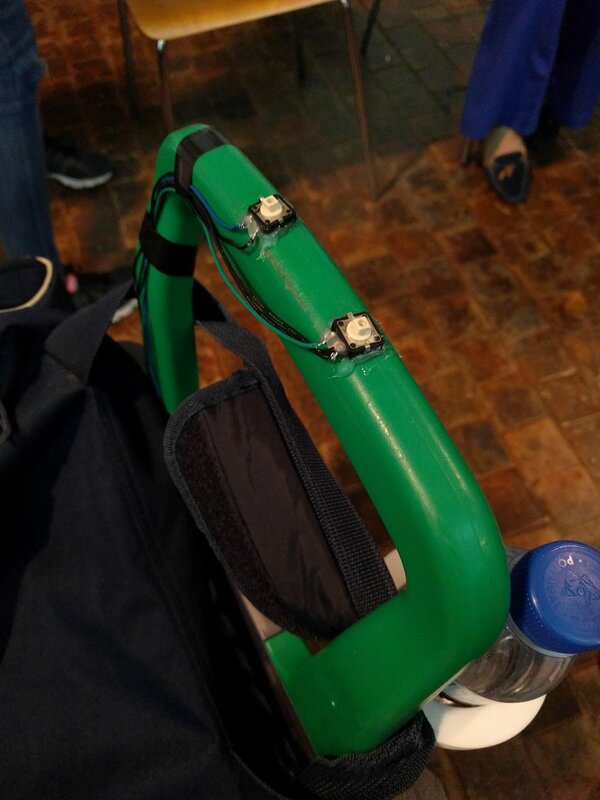 The team took a look the way crutches are designed and created the perfect crutches: foldable (better than what is out there), can lean on the table when not in use, and can help him get up and stand. Pedro plays golf using a golf wheelchair that enable him to stand and play. But he still lacks the body range and flexibility to comfortably hit the ball. The team created a maneuver plate for Pedro's seat with springs, that allows him to have the extra movement he needs for golfing. Manuel has CP and uses a keyboard grid for his daily PC use - sometimes, Manuel needs to use a Mac but there aren’t any grids available on the market. 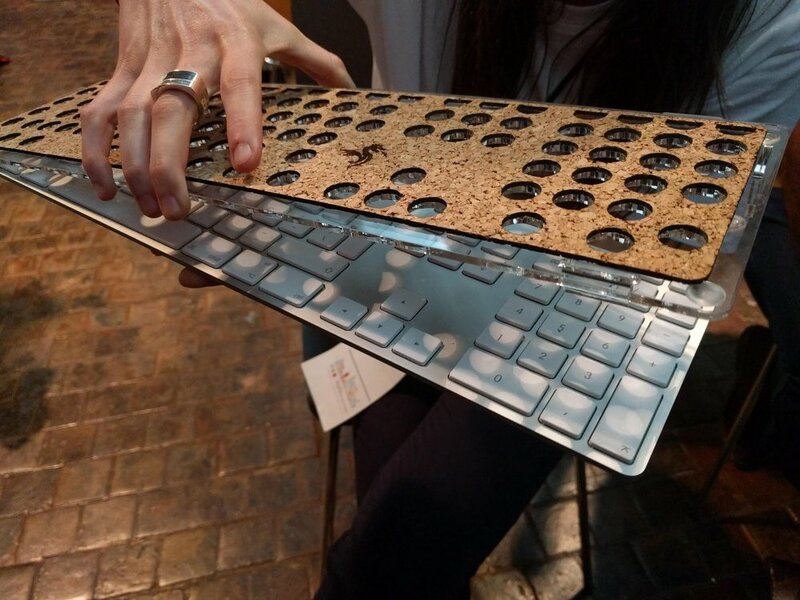 The team created a Mac grid by laser cutting plastic and cork. They even added a Dragon design to make it personalized. 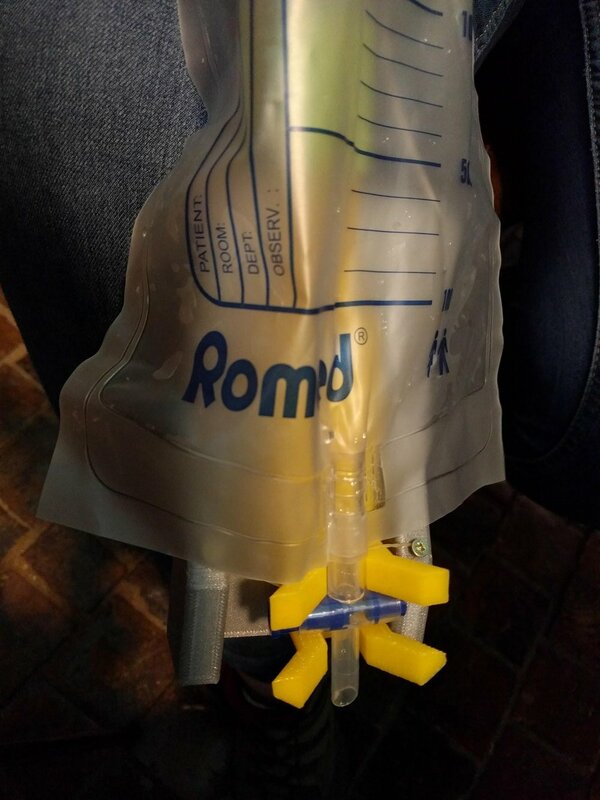 Márcio uses a urinary leg bag and was looking for an easy way to empty it. 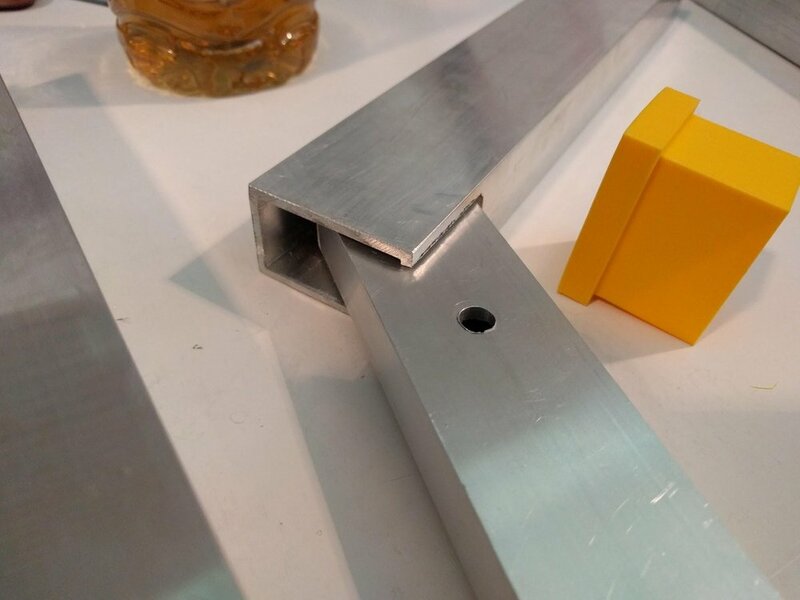 The team created a 3D printed valve opener with handles for him. For future development the team wish to fit the bag properly and to have better handles for pulling and opening the valve. Tiago is a fitness instructor at a local gym. One of his clients is blind - but the gym is not accessible. 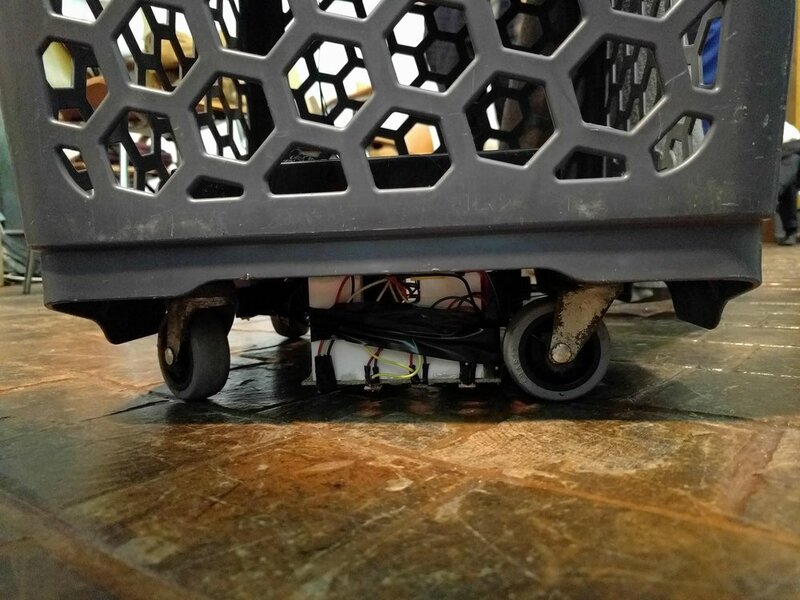 The team created a cart with sensors that maps the gym and can lead the client from station to station easily and safely. Tiago’s hope is that this solution can be replicated in other gyms, enabling blind people to train and stay fit everywhere in the world. Eduardo usually uses a wheelchair since he doesn't have the core body strength needed to walk. In the past, he used a walker but it didn’t fit him properly. The team adjusted a walker for less than 200 euro and are hoping to continue to adapt and drive the cost down, making the adjustments more affordable. Isabel uses an electric wheelchair with head joystick and she would like to also operate her computer using the same joystick. 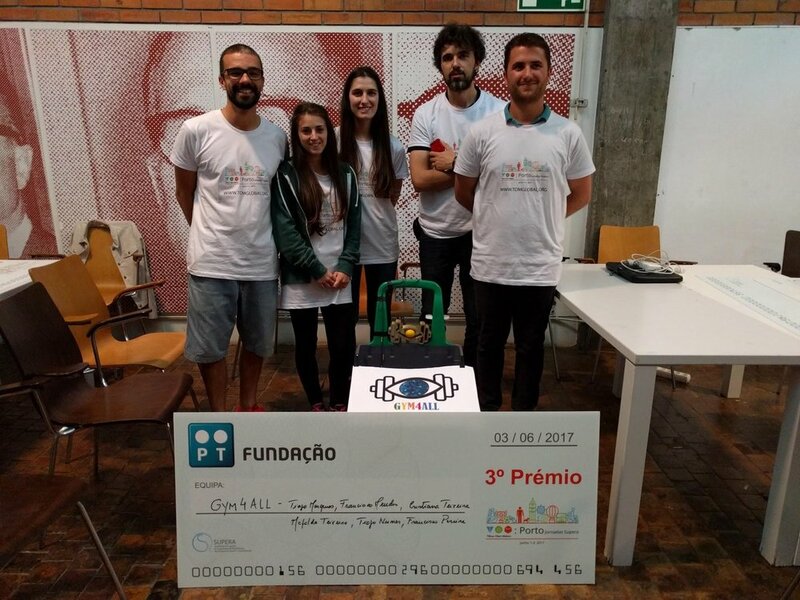 The team “hacked” a joystick using an arduino to operate her computer and her smartphone. Now she can use the same joystick to operate her chair, computer and phone. Carlos is in his late 20s and uses an electric wheelchair. He would like to be able stand to improve his blood circulation. The team created an exoskeleton for him, using a metal structure, arduino, rechargeable batteries and fence engines. Manuela loves going to concerts - but when she uses her manual wheelchair, she cannot see over the big crowd. 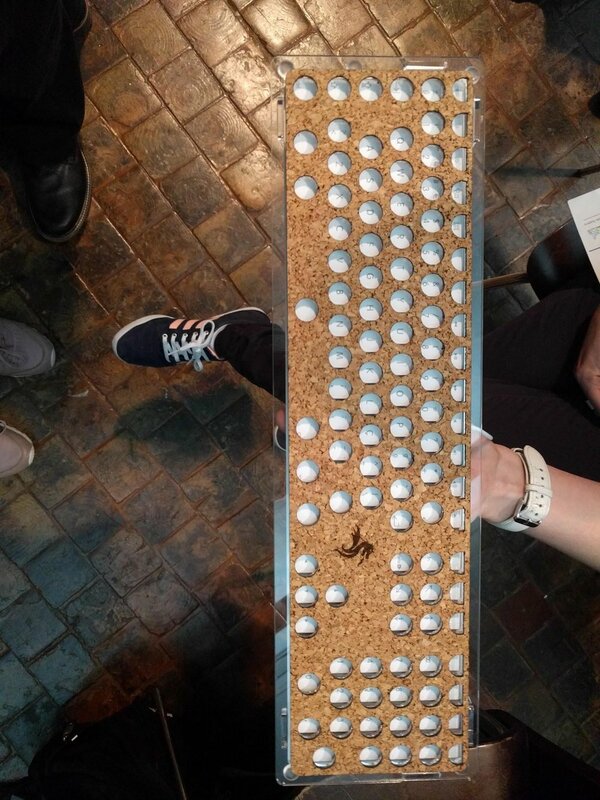 The team created a concept solution, a seat that can be raised using a manual mechanism. 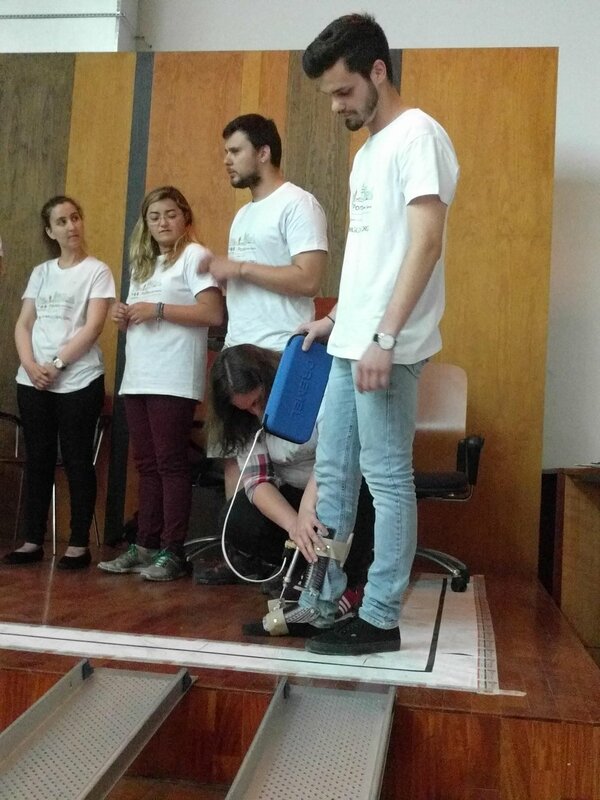 Filipe is a physiotherapist, working in the ALS association in Porto. He came to TOM hoping to solve drop-foot for his patients when they walk. The team created a moveable splint for him using a plastic cast and arduino.